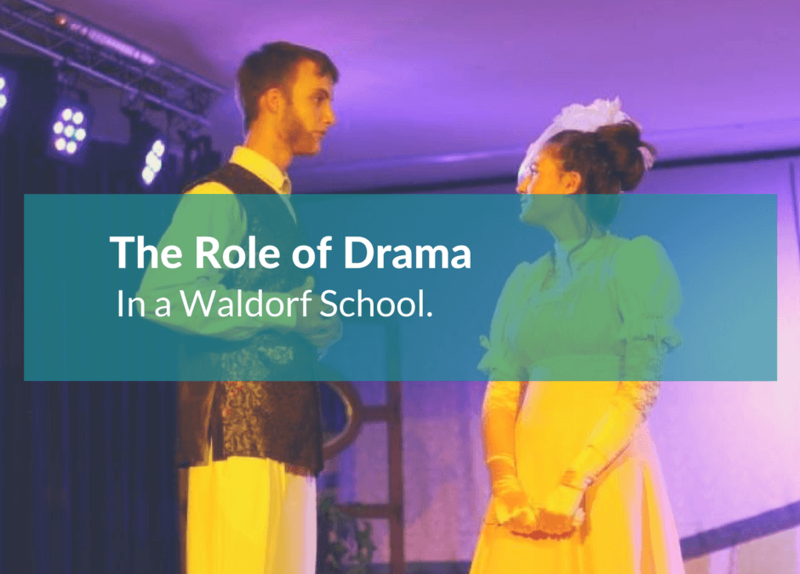 Speech and drama achieves one of the essential goals of Waldorf Education; to integrate thinking, feeling and willing. With this in mind it is not surprising that this art form is present in every stage of our curriculum . One encounters it in Kindergarten where creative free play makes use of drama, children become kings, queens, animals and more to complete their imaginative play. In Primary School the class teachers work with a deep understanding of the work of Rudolf Steiner and Marie Steiner on speech formation and drama as part of their classroom activities. Class teachers may also introduce opportunities for the class to deepen their main lesson learning with a thematically linked play. In such cases, every child in the class participates, uniting the class artistically and socially. Teachers have shared the tremendous transformations they have witnessed in students through class plays. Students gain self-confidence, admiration, appreciation and acceptance among their peers. Completion of the performance leads to a shared experience of pride in the accomplishment, an experience that strengthens the bond among the students of the class. Exceptional care and insight is used to determine which part might benefit a child and how the casting of a play might serve the healthy development of the class dynamic. Drama in a Waldorf School is never about exhibitionism and while talent is fostered it is not the focus of our activities. Regardless of their temperament or natural inclination, every child moves and speaks and care is taken to ensure that the stage is a safe and welcoming space. While the presentation of the work is often shared with parents the emphasis is always on the pedagogical process that the children have experienced and not solely on a polished production. By High School pupils begin to address the world with the growing capacity for reflective thinking and learning. This quest is met with a more formalised Drama curriculum. Speech work continues and pupils have several opportunities for both public speaking and debating. Aspects of theatre history, stage craft and play production are explored and a yearly play performed. The plays chosen investigate individual characters within the context of a complex theme. Students are faced with performing roles and deepen their understanding of character development. Such characters give them the chance to wrestle with their opposite, highlight themselves, or in a perfect situation, offer them the chance to gaze into their own souls. Observing their cathartic effect drama has on students, and listening to their candid responses, more than justifies the enormous effort that goes into the production of a successful play. In Class 9 the play is drawn from the works of William Shakespeare. Shakespeare offers a beautiful command of the English language and engages pupils in the ideal beauty of theatre. Class 10 pupils tackle Ancient Greek tragedies and medieval mystery or morality plays thereby enjoying a hands-on experience of the origins of Western theatre. These plays explore ancient yet relevant themes of destiny, freedom and moral truth. In some measure, each performance works to bring the young person towards full awareness of who he or she is and to give awareness and control that will eventually allow the child to take charge of his or her own destiny in life, a destiny that is a particular and unpredictable, yet as universal as the destiny of the heroes and heroins, the gods and the goddess of the ongoing human drama. In Class 11 pupils workshop their own play. This gives them an opportunity to express their hearts deepest questions, fears and hopes about the world they will soon inherit and the futures they must author. This main lesson particularly can serve as powerful medium for public outreach and if the needed depth is attained / can mirror all aspect of human life, effecting the students to their core. In Class 12 the pupils take a much greater level of responsibility for the entire production. The teacher takes on the role of supporting guide as the class choose and produce a 20th or 21st century play, in essence a play written from a modern consciousness. Their choice to play must confront the audience with modern questions. Roseway has over the years enjoyed plays such as Rosecrantz and Guildenstern are Dead, Death of a Salesman, The Cocktail Party, The Crucible, Our Town, Waiting for Godit and The Royal Hunt of the Sun. The pupils who chose these plays would have been expected to cast themselves, design the set and consumes as well as manage the promoting of the performances. With this world of theatrical experience behind them, the students are able to develop a well-rounded theatrical life so that students can take in the human and technical parts of the world they live in and begin to see how they fit together. Some of our students have gone of to use the skills gained as the starting block for successful theatre practitioner careers others may never occupy a stage space again but will undoubtably have gained a deeper understanding of themselves and human development along with a healthy dose of self-confidence.